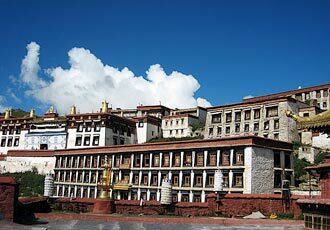 This short trek of four/ five days is one of the most popular treks in Tibet and links two of the Tibet's most important monasteries Ganden and Samye.It involves crossing two high passes Shuga la(5250m) and Chitu la(5100m). 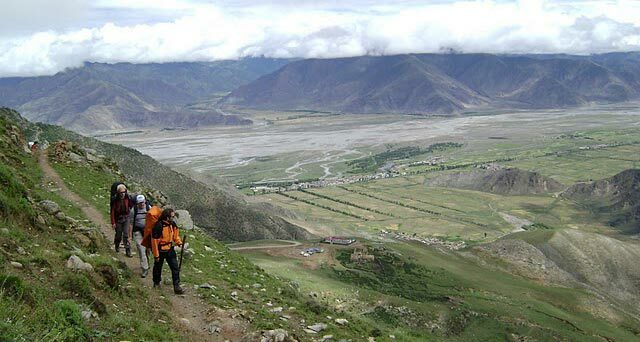 Liike most treks in Tibet it is strenuous and requires proper attention to altitude sickness but the rewards are worth the effort.The trek starts from the famous Ganden monastery some 50 km from Lhasa , passes through many small villages , sheep herder's camps and exotic scenery and ends in the Samye monastery in Yarlung valley.Like in all our trekking programme in Tibet it starts after we explore the heritage sites in Lhasa. Price: In order for us to quote you the price, write us with number of persons in your group, the category of hotels you would like to stay and your ammendment on our itinerary, if any.